Today’s post is just some photos of good old Fethiye, my favourite place. Taken in January 2013 when I was living there. I love how calm the sea always is in Fethiye as it’s sheltered in the bay, first thing in the morning is especially beautiful and calm, the sea is like a sheet of glass, creating a perfect reflection. It’s so relaxing with the tiny little fishing boats just bobbing on the surface quietly, waiting for their fishermen to board and collect their catch of the day. Love the snow on the mountains in the distance too, although I believe there is a lot more snow visible this winter as I hear it’s one of the worst, wettest, coldest winter’s they’ve had for a long time. 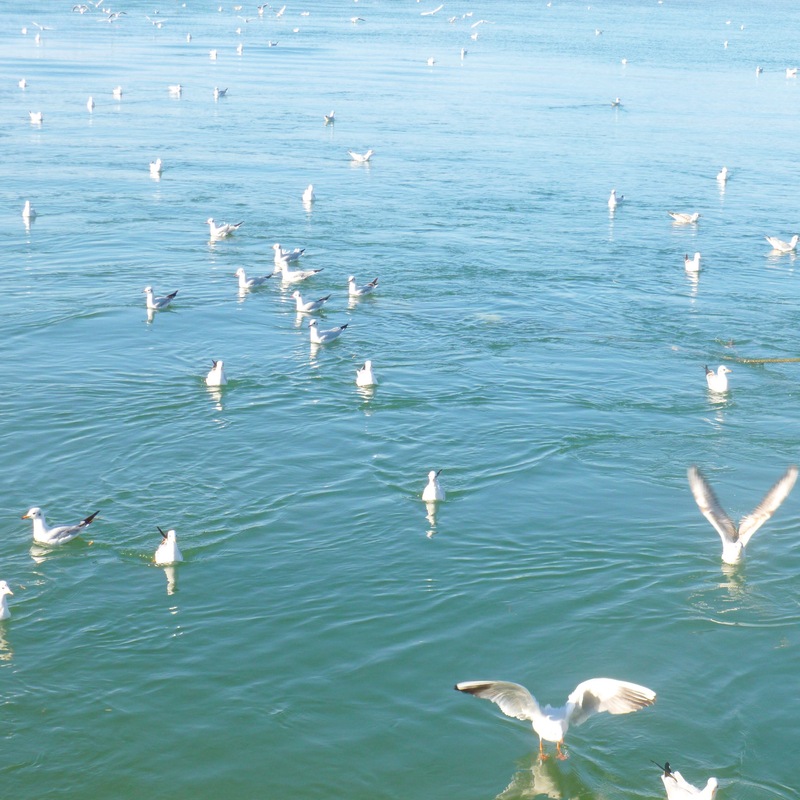 There are always a lot of seagulls in Fethiye too, hovering over the surface of the sea, hunting for fish or leftover food. I’m not a fan of birds flying around me, but it certainly makes for a good photograph and adds to the character of the place! I miss the simpleness of it all. What I wouldn’t give to be sat on a bench along the Fethiye promenade now. I’ve been going through some old photos saved on cameras and memory cards, and found a lot of great ones to share, so I’ll be doing a little series on here with photos I’ve taken at lots of different places in Turkey I’ve visited including Pamukkale, Tlos, Yakapark and other resorts and cities like Gumbet and Bodrum & Denizli. Berkay has a ‘swearing in’ parade for the army tomorrow, he gets to spend some time with his family afterwards as they’re going to watch, so hopefully I’ll have some photos of him in his soldier uniform and a few insights into his army life to update you with. 343 days to go…whoever said this army service goes quick was lying! After 6 years of going to Icmeler your blog has convinced me to book Hisaronu this year so I can go and visit the beautiful Fethiye and surrounding area that you love so much. Thank you for making me look outside Icmeler, which I love. It is time to see somewhere new and it is so exciting.